I have to credit John Stewart (The Daily Show, one of my faves) with the phrase, but the idea is as old as time. The photo below is one of my favorites, by Amy J. Putnam. I find the little pansy so poignant. Thanks for all your support this week and enjoy your Sunday! 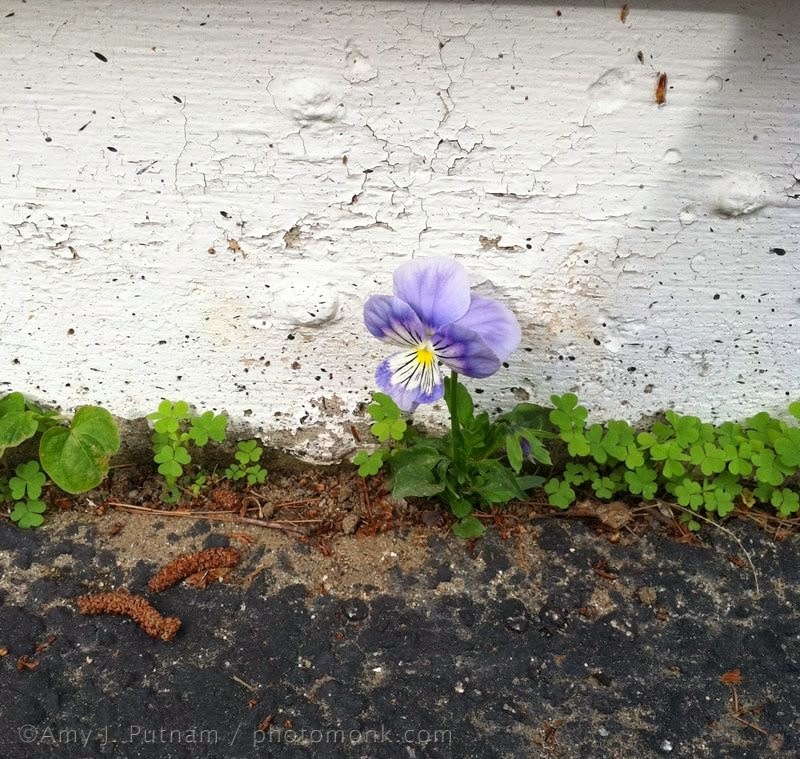 What a perfect picture --- one pansy blooming away . . . makes me smile. I hope Miss Edna is doing well and will be home with your family soon. Pansies are just beautiful wherever they are. Continued prayers for you and Miss Edna. Lovely! Healing wishes to Miss Edna. Thinking of you all...and persevere. The beauty of simplicity is great indeed. Thanks, Susan, for a reminder to enjoy that beauty. Wising you and Miss Edna a restful and healing Sunday. Thank you, everyone! Kiddo and I just got back from the hospital. Miss Edna is in fine spirits, although we still don't know how long she'll be there. We brought over real coffee and breakfast from the diner next door and had a nice chat. She's fully stocked with hardcovers, paperbacks, and her e-reader, so she's set and thanks everyone for the good thoughts.